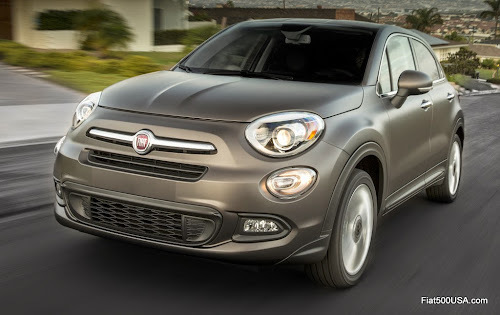 The Fiat 500X brings Italian design and leading edge technology to the crossover segment. In this video, Jason Stoicevich, Head of Fiat Brand in North America, Roberto Giolito, Head of Fiat Design and Art Anderson, Chief Engineer for the NAFTA 500X introduce the thinking behind the new Fiat 500X crossover. You can define the Fiat 500X as combining the attributes of the 500 hatch - iconic style, fun to drive character and nearly unlimited personalization options - with the versatility of the 500L MPV and then mixing in unmatched safety and security features with a very capable drivetrain in either front-wheel drive or all-wheel drive. Look for the Fiat 500X at Fiat Studios during the spring of 2015. Poll: Fiat 500X Trekking or 500X Street? Enter the Nordstrom Fiat Giveaway!